Imagine a trip to a cemetery to visit a loved one’s grave and en route you gaze at names and dates that mean absolutely nothing to you. Imagine if instead you could quickly scan a code and be immersed in to the life of the person below with highlights and some interactive media. Added to people that died in wars or long ago could be a valuable way for teaching new generations about wars or other ways in which people used to die that have long been forgotten. 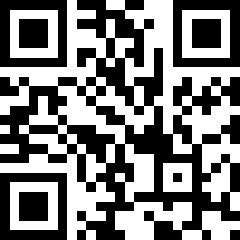 This QR code belongs to a Yoav Medan of Israel, whose mother Judith passed away in June. Scanning the QR code leads visitors to a tribute website that Medan setup and plans to evolve with stories and photos from his mother’s life. Over time, Medan hopes the QR code and memorial site will help create a lasting history of his mother that will live on for generations. “I was most concerned about 20 or 40 years from now, how will she be remembered……………what’s in our memory into a place that doesn’t forget,” he said. The QR code-enabled tombstone is a new technology, which can be added to the growing number of services that have already emerged in the last number of years, to help us identify people in an online capacity. It is certainly a new way to pay respect to the dead and will certainly suit today’s younger generation who have grown up with Facebook and Twitter and Youtube as means of communication with peers. Is it too much? Technology gone too far? Or is it in keeping with communications today?